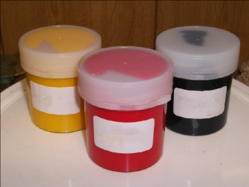 We are engaged in offering a wide range of Pigment Fine Paste in different shades of colors. These environment friendly pigments are non toxic and are also acknowledged for color fastness and effectiveness. We make sure that our pigments undergo stringent quality checks on the basis of shades, strength, solubility, fastness properties and pH value. 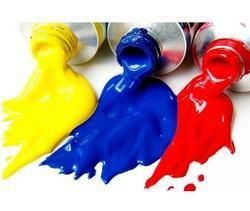 Owing to the quality features, the organic pigments offered by us are extensively used in various industrial purposes. Pigment Fine Paste offeredcomprises options in form of pigment red 551 red 8, pigment red 548 red 112, pigment orange 535 orange 5, pigment yellow 511 yellow 3, pigment yellow 517 yellow 74, pigment blue 611 blue 15:3, pigment blue 612 blue 15:0, pigment green 631 green 7 and pigment violet 591 violet 23. Featuring quality constitution, the paste is highly suitable for use in areas like Plastic & Textile Industries, Paper Industries, Leather Industries and others where these provide superior light fastness and weather resistance. Uniform particle size and others. Started our business operations as a manufacturer, supplier and exporter, we are engaged in offering Polyurethane Pigments . To process these chemicals, we make use of superior-grade ingredients and basic compounds that are procured from reliable vendors of the industry. In addition to this, we ensure to dispatch these chemicals in committed time-period to the customers' premises.